The Diploma of Dr.TCM is an extension of our 4-Year (2600 hrs.) Diploma of TCM. The focus of the fifth year of study is to deepen the understanding of Chinese herbal medicine therapies, Acupuncture and western medical methods. In addition to the above focus, students will learn modern clinical research methods, advanced TCM modalities, TCM approach to psychology and greater exploration of Classical TCM texts. During the clinical internship component of this fifth year of study students will further solidify their style of treatment in preparation for their future career as doctors of TCM. 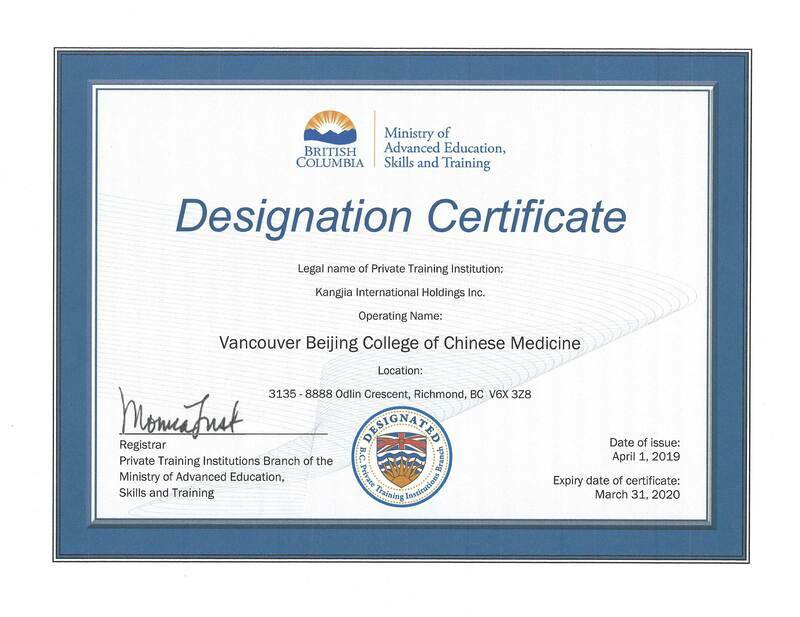 ​Graduates of the Diploma of Dr.TCM program are eligible to be Registered Dr.TCM in the province of British Columbia. Graduates must write a licensing exam in BC. They can practice as a Dr.TCM independently or employed by any TCM Clinic.